MJ Printing was started in 1972 by John Housey, doing letterpress in his father’s garage. In due course he needed to find a factory for his growing business, so he started with a small factory in Abbotsford, then a few years later relocated to larger premises nearby, at 1 Duke Street. 1 Duke Street via Google Street View in 2018. It smol. Meanwhile a young John Kempton, aka JK, had started his printing apprenticeship in 1976 at Wilke & Co. He rode his pushbike to work every day (he wanted to make sure I mention this was “tiresome”), and occasionally took a nap behind a stack of boxes in the storeroom. In the late 70’s JK saw his first fax machine. Everyone was called into the office to check it out, and they were all gobsmacked at the technology. Back to MJ Printing, and John H had hired the first of the long term staff that still work at MJ today – Greg – who started in 1983. Around this time in the early 80’s, the company had moved on from letterpress to 2 colour offset printing. Around 1988, a teenage Mark Neff started work in the bindery. He happened to live nearby, and got busted chucking a sickie one day when his mother came by to visit him for lunch. John H was not impressed. In 1990, John Kempton commenced employment as general manager at MJ Printing, and he and John Housey were a great team, “like Hawke and Keating” according to JK. Around 1991, while doing work for Mushroom Records, the client told John she needed to check her email, and he said, “What’s that?” Again, gobsmacked. Mark lasted in the bindery for about a year, and then left, preferring to spend his time driving his green Torana around looking for puddles to splash pedestrians with. In 1993, JK felt the company had grown to the point where they needed a production manager. He remembered Mark being a gun in the bindery, and encouraged him to return. Now a responsible member of society, Mark agreed. Mark fondly considered JK to be the underpants that saved him when the @#$% hit the fan. Together they have many anecdotes of the old days of MJ, most of which I can’t repeat, but a tamer story is when one of member of staff played a prank on another by cutting up a piece of strawboard, and putting it in his Saladas when he wasn’t looking. This may or may not have resulted in a trip to the dentist. At one point in the 90’s, MJ printed a poster for a tour the Living End were doing, and they signed it saying “you are the @#%$!” MJ were also printing a lot of CD covers around this time. Remember those? We also have a signed and framed poster from one of John Farnham’s (many) farewell tours. Around this time, the pace of client expectation was accelerating and the MJ staff had to do extraordinary things to meet deadlines. The company developed a “whatever it takes” attitude that we still have today, except we now call it “make it happen”. 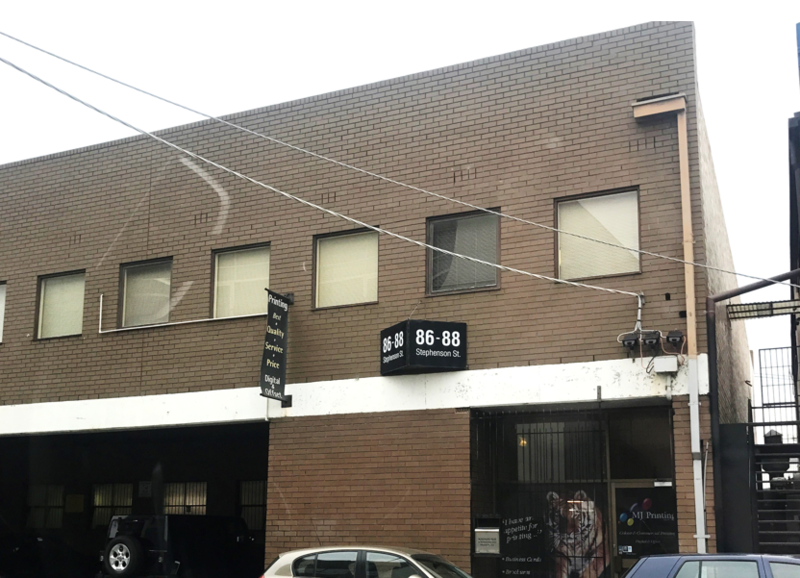 Further growth led to the company relocating again in 1997, this time to the neighbouring suburb of Richmond (technically Cremorne, but before it was cool so nobody knew where that was), where it would remain for the next 20 years. During this time, we adapted the then-new computer to plate technology, began digital printing in the mid 2000’s, and hired another 4 of our long-term staff. (Special shout-out to Angela, who was with us from 2002-2016, and taught me everything I know). At some point the window sticker you can see in the pic above (if you squint) was installed. A little kid used to walk past with his mum all the time, and absolutely LOVED the tiger. In the header pic for this post you can see the “waiting area” in the office, featuring the Living End poster mentioned earlier, and the three fake indoor plants we used to sticky tape baubles to at Christmas. JK wanted to turf these plants when we moved, but after staring at them for 10 years I had grown (no pun intended) attached, so now they’re in my house. In late 2013, John Housey made the decision to retire, and sell his creation – MJ Printing. John Kempton, having served as general manager for 24 years, and knowing the business inside and out, purchased the company in early 2014. As this happened just shy of 25 years, this meant John Kempton had to buy his own gold watch. Having been plagued by traffic congestion, the struggle of making deliveries in the tiny narrow backstreets, visitors having nowhere to bloody park (let alone staff), and the need for more room, once again MJ Printing needed to move to larger premises. 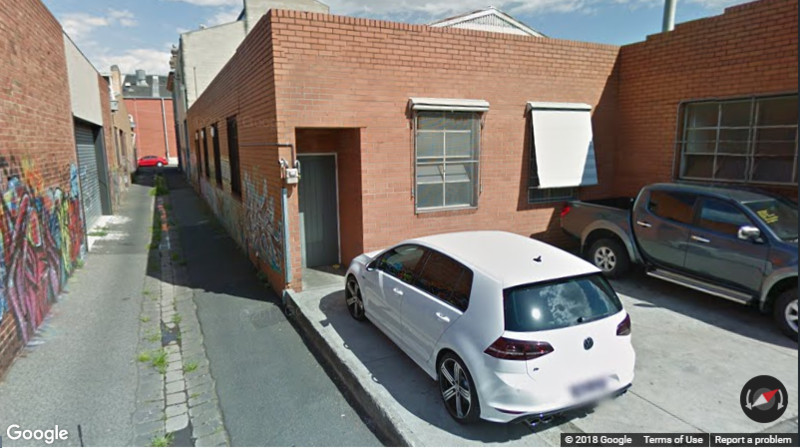 JK started hunting for factories, and found one around the corner from the house he grew up – purely by coincidence. In early 2017, the company made the move to Oakleigh South. We now have a large carpark, which is a dream come true for customers and staff alike, and our courier pickup and delivery space nightmare is over. The factory and offices being larger than the company has ever operated from has given MJ the opportunity to invest in new equipment, and scope for much more expansion in the future. Currently JK parks his 1966 Ford Galaxie Fastback in the factory while he pretends to work on it on the weekends. Like many industries, there has been massive change over the last 30-40 years. Like the fax machine, CD covers and booklets, many common printed items MJ used to do all the time are now things of the past, but there is still a high demand for printing. Cassette sleeves are experiencing a resurgence though. Approaching the 2020’s, undoubtedly there will be much more change and creativity required for any enterprise to continue. With the new services we have been able to provide, such as foiling and laser cutting, MJ is ready as always to move with the times.